An enduring bestseller since its introduction, National Geographic The Photographs is a brilliant retrospective of the visually stunning and world-renowned photographic achieve ments of NATIONAL GEOGRAPHIC magazine. National Geographic The Photographs is a captivating, full-color presentation of NATIONAL GEOGRAPHIC magazine's best and most memorable photographs of the last 25 years, the facts behind them, and the stories of the men and women who took them. Page after page of this beautiful, large-format book presents stunning images that capture the major themes of the National Geographic Society: wildlife on land and underwater, cultures in the United States and around the world, and science-from astronomy and archaeology to the human senses. Accompanying the images are the photographers accounts of the techniques they used and their adventures in the field- sometimes humorous, sometimes terrifying, and always vividly compelling. 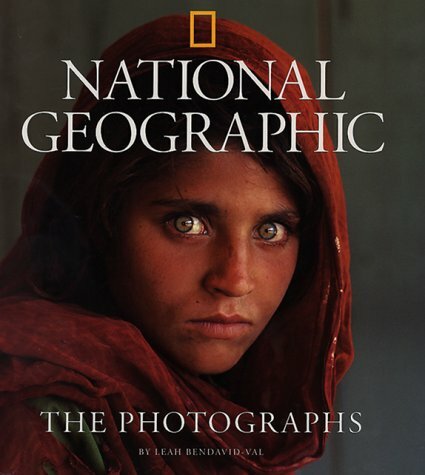 National Geographic The Photographs also includes an intro ductory chapter that chronicles the evolution of the photographic principles that have kept National Geographic at the forefront of the field and presents the visionaries who believed that photography had the power to tell important truths. is a writer and curator o f photography, a senior editor for National Geographic Books, and the Editorial Director o f National Geographic inSIGHT She has written about photography for the Washington Post, National Geographic, and other publications, and has organized photography exhibitions for the Corcoran Gallery o f Art, the International Center of Photography, and the Pushkin Museum o f Fine Art in Moscow. Bendavid-Val is the author o f Propaganda & Dreams: Photographing the 1930s in the USSR and the US; Changing Reality: Recent Soviet Photography, and Stories On Paper and Glass. She lives in Washington, D.C.